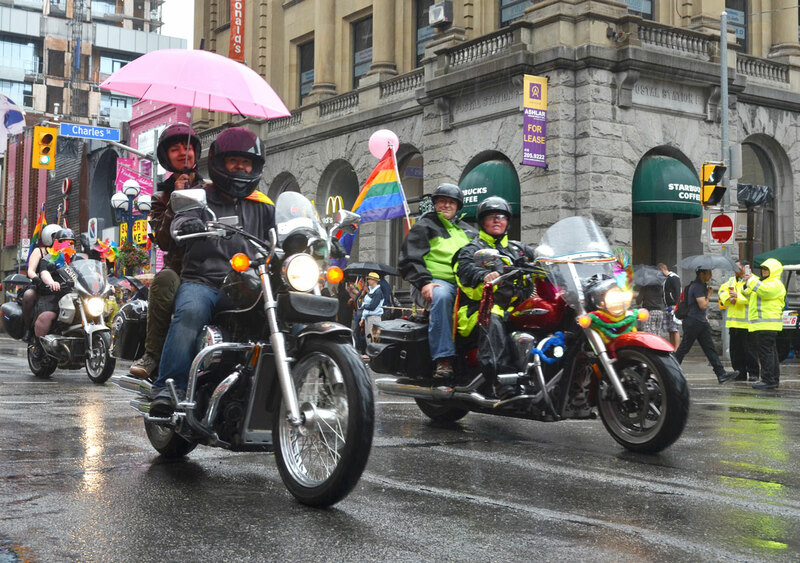 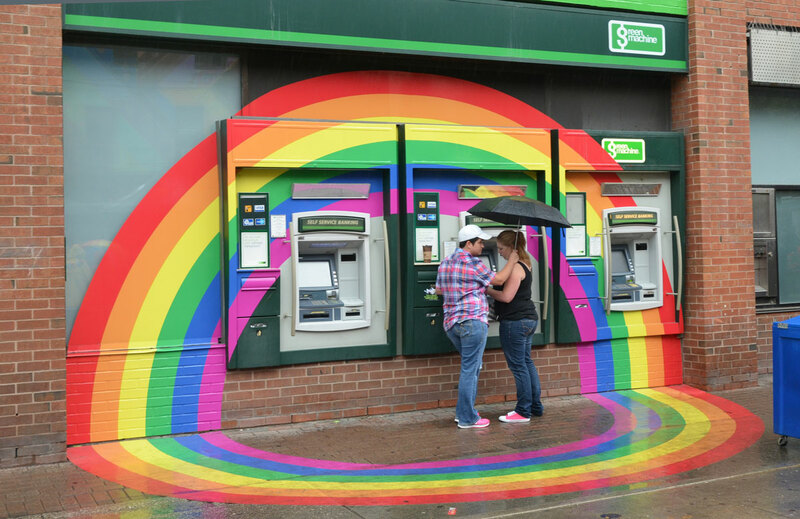 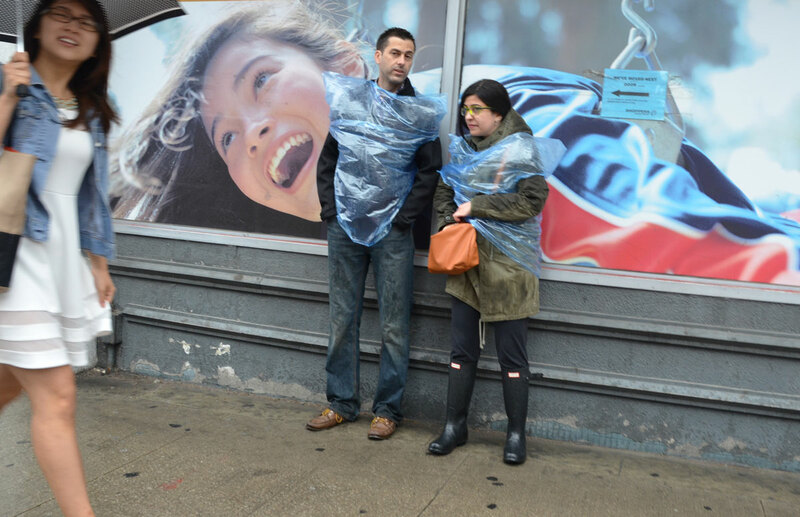 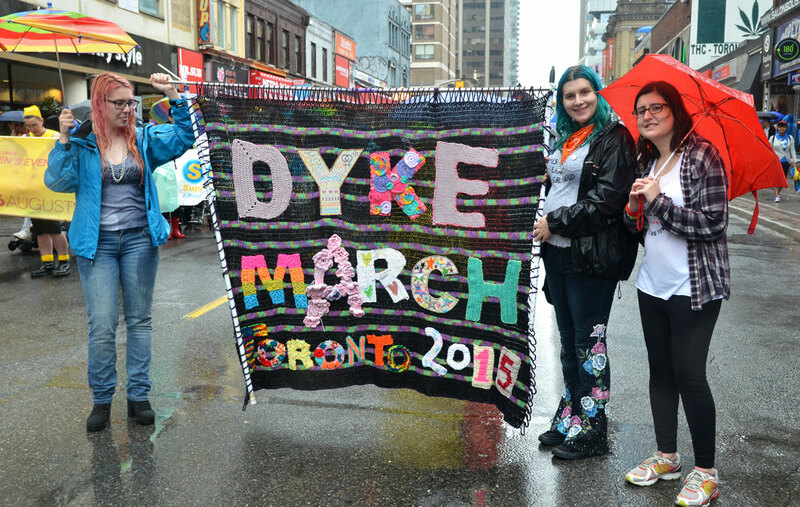 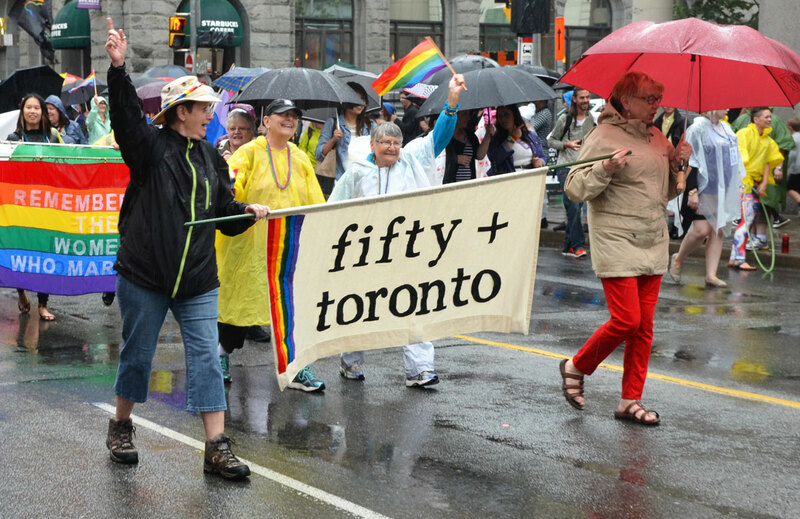 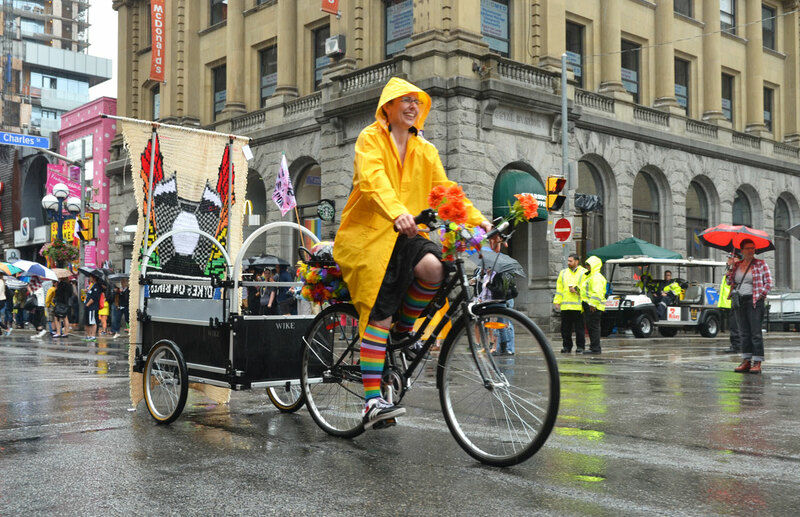 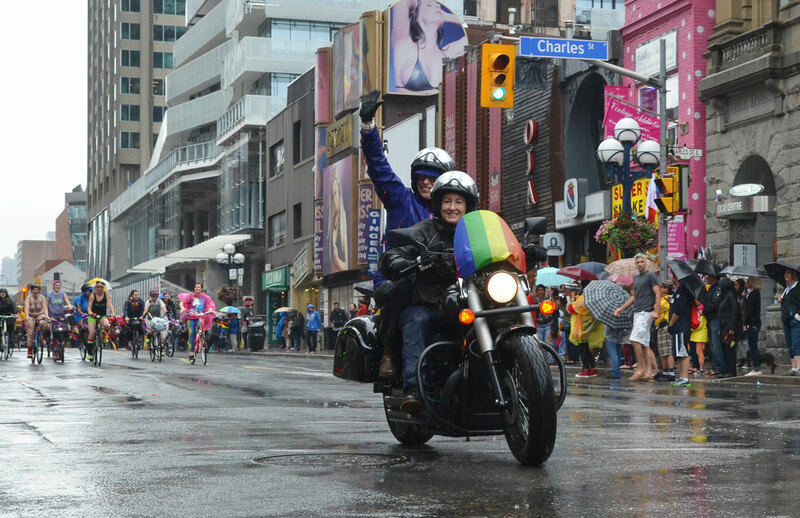 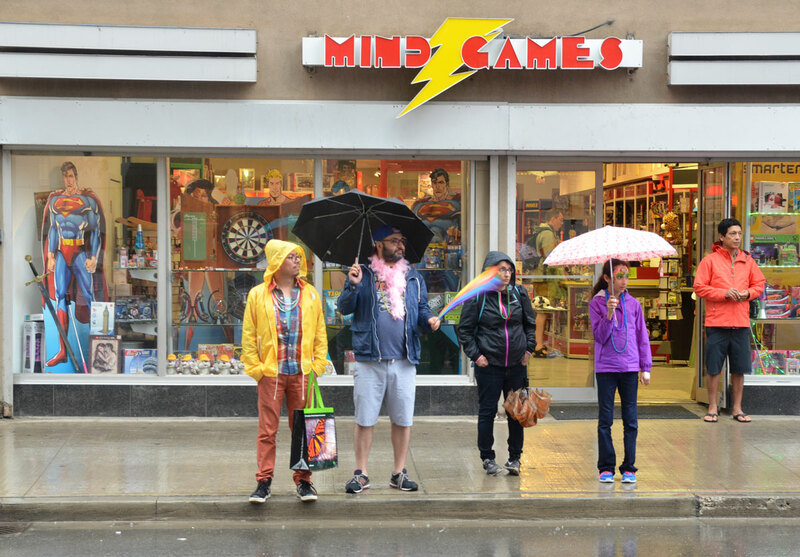 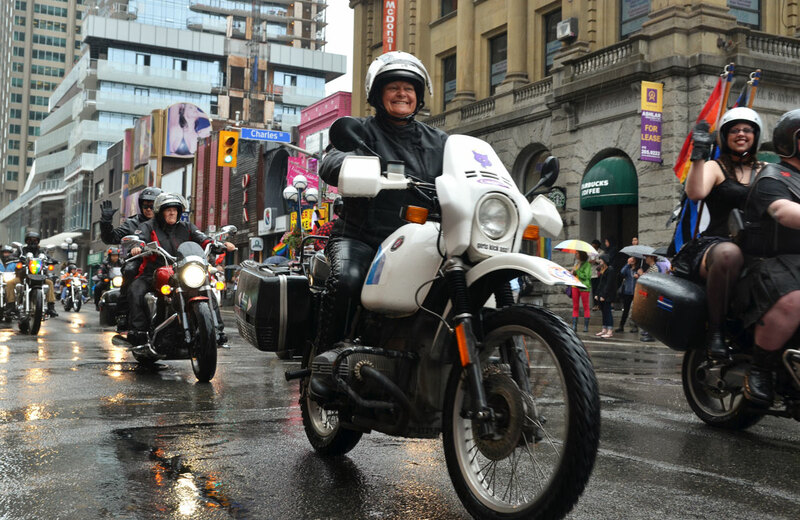 Tags: banners, bikes, colours, dressing up, dyke march, gay, lesbian, LGBT, motorcycles, parade, pride week, rain, rainy day, Toronto, umbrellas, wet, Yonge St. 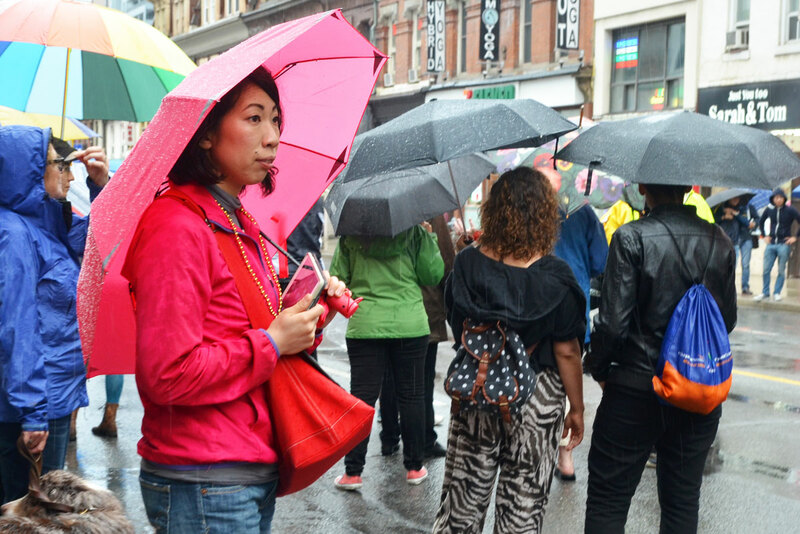 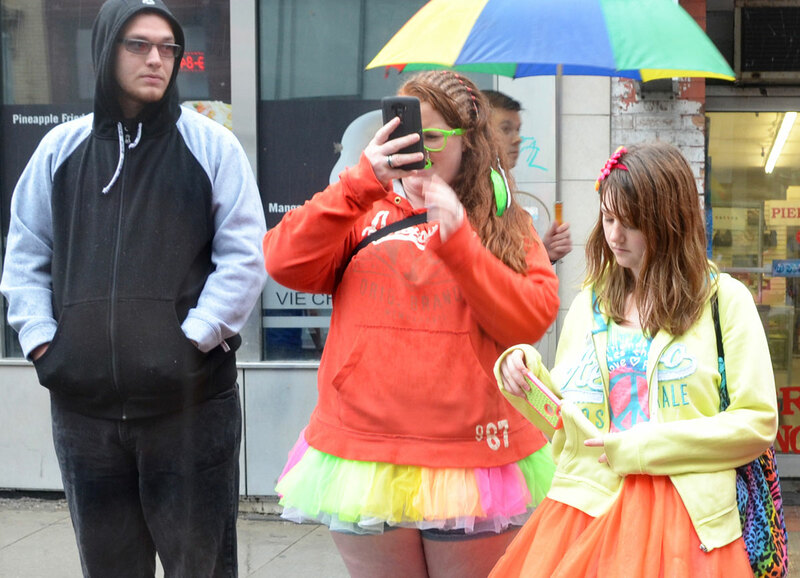 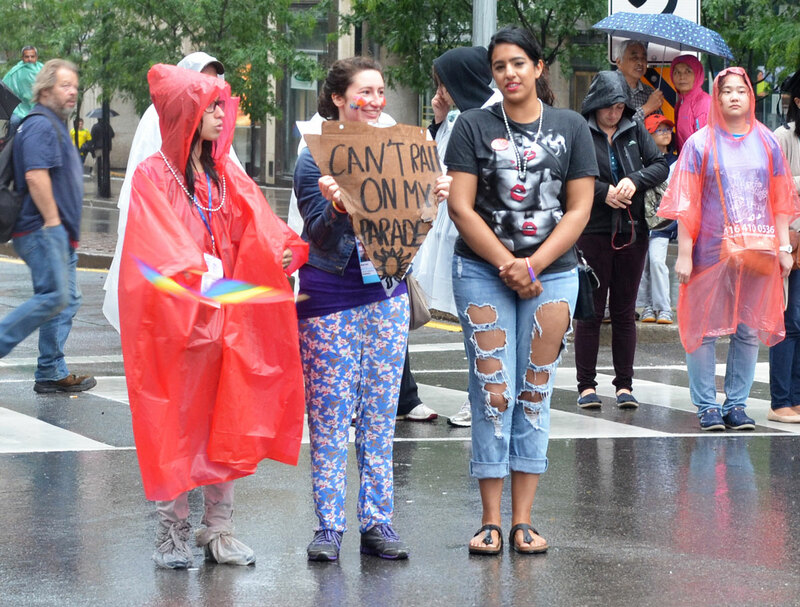 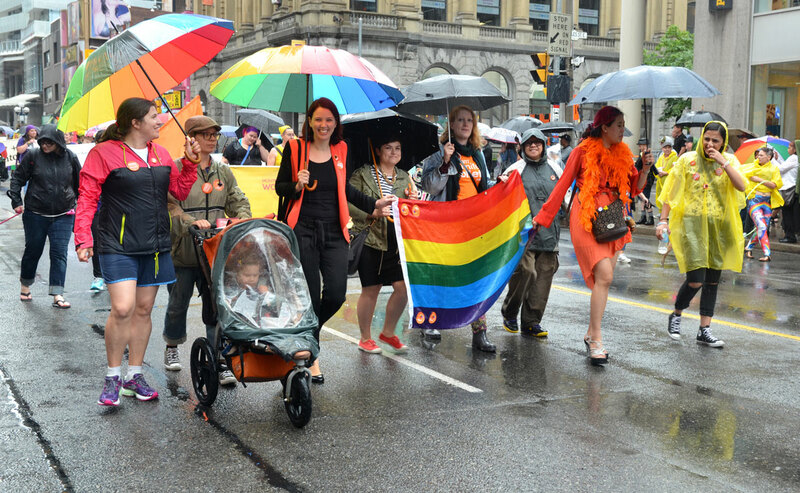 Most of these photos are from the Dyke March on Saturday, both of the people walking in the parade and the people who came out in the rain to watch the parade. 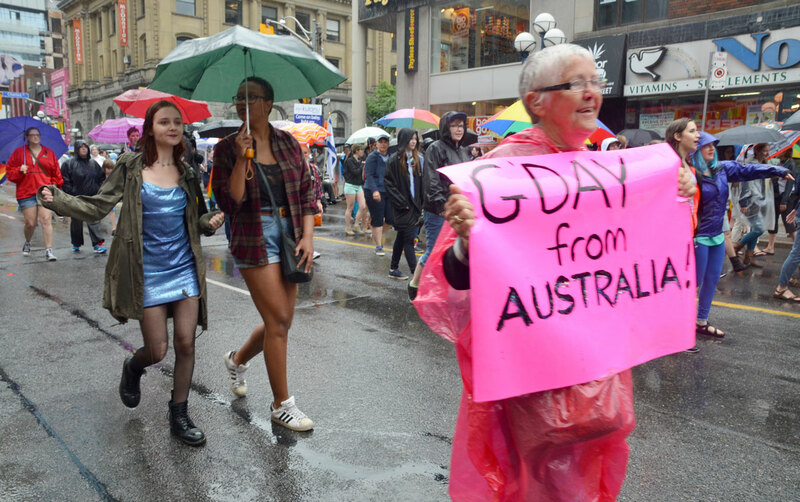 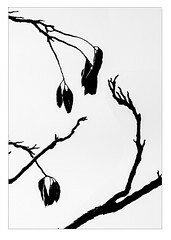 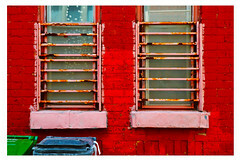 And rain it did. 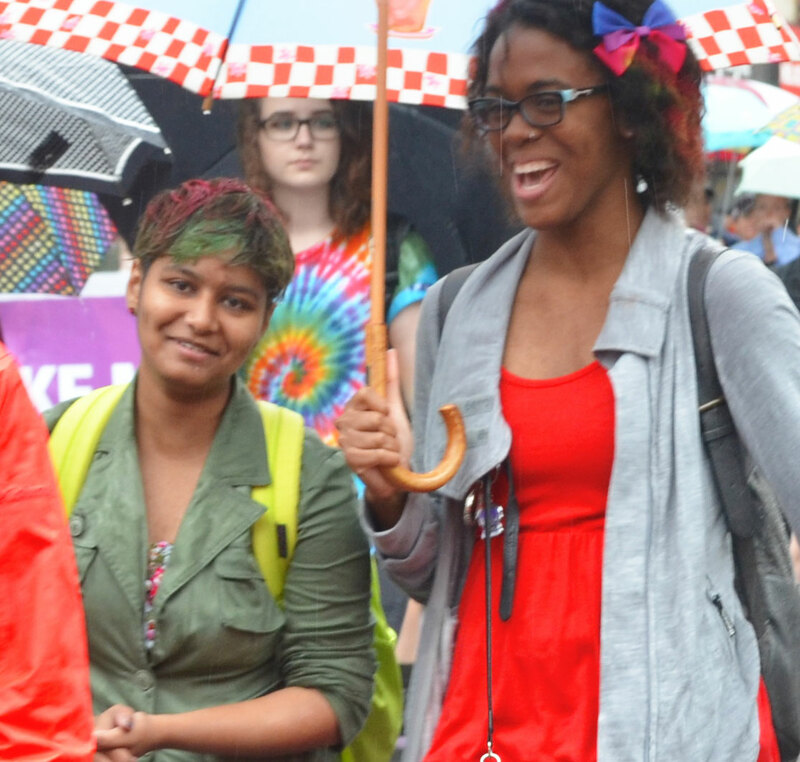 But there were still lots of smiles and lots of laughter.